Take it down a notch and explore one of New South Wales prettiest coastal rivers by kayak. Starting on tho high tide and using an outgoing flow to help us down the river, we kit up at Heritage Park next to Federation Bridge in Mullumbimby. 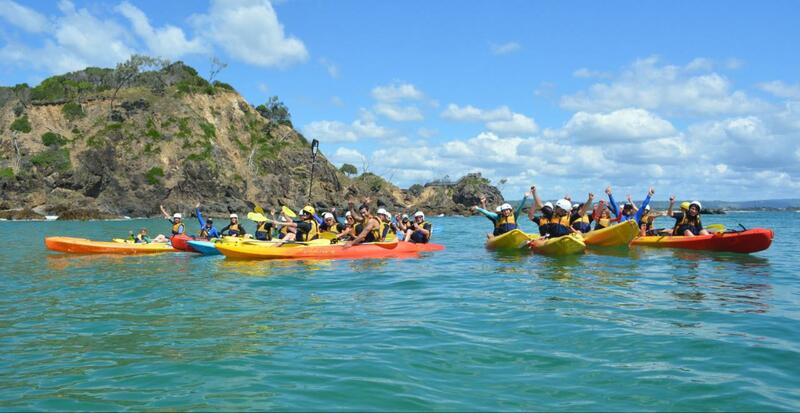 Your friendly Go Sea Kayak Staff will conduct a brief lesson and safety demonstration to have you easily prepared for your paddle down to Brunswick Heads. This eco-friendly family fun day has proven to be popular in the past. Anyone can do this paddle, the whole family will enjoy this paddle together. If you're wondering what effort is required to complete a 9km paddle, then you might be pleasantly surprised. Paddling 9 clicks is as easy as walking the same distance; I would go so far as to say easier, particularly because the we know our tide times. On the day, an ebbing tide will help paddlers along the river by drawing them towards the river mouth (and some delicious treats to replenish with). Check out beautiful Mount Chincogan from the Brunswick River just after you commence paddling. Situated just out of Mullumbimby this peak is approx 476m above sea level. On this tour you will paddle past coastal rain forest remnants, through farmlands and cane fields down towards coastal mangrove lined river with oyster leases and abundant bird life to observe. We run it your pace. All kayaks, safety gear and drinks/snacks is provided. We offer free pick up from Byron Bay accommodation places and Brunswick Heads prior to your scheduled tour time and drop you back afterwards. All of your belongings can be safely stored so you have nothing to worry about. Held every Saturday this is a Kayak Paddle to definitely tick off your bucket list. Anyone can do it. For Mullum to Bruns Paddles on days other then Saturday please call Go Sea Kayak on 1800 732 529 for availability.